TransCanada says it has signed project agreements with all 20 indigenous communities along its Coastal GasLink pipeline route from Northeast B.C. to Kitimat. Support for the agreements comes from both traditional and hereditary leaders in the communities, the company said in a news release Thursday. Today, 42 Order of Canada recipients urged the federal government to cancel the Trans Mountain pipeline expansion and instead focus on the transition to a clean energy economy. In an open letter to Canadians, the group, which includes prominent Canadians like Bonnie Sherr Klein, David Suzuki, Robert Bateman, Joy Kogawa and Gabor Maté, says the recent Federal Court of Appeal ruling is an opportunity to rethink the pipeline, including the risks to Pacific Coast orca whales. 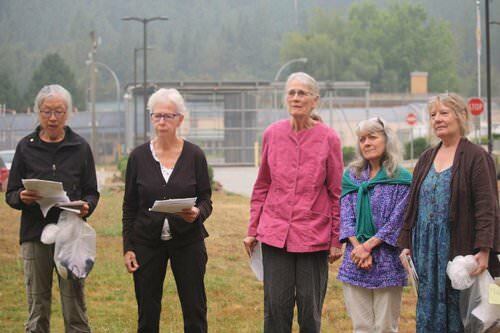 Other recipients who have signed the letter include Dempsey Bob, George Bowering, Lorna Crozier, Alma Lee, Ann Mortifee, Jean Swanson, Dorothy Grant, Raffi Cavoukian, Libby Davies and several others. "The interesting thing is people were kind of waiting for an opportunity to do something," she said. "People love their country and desire to do something for their country." "We agree with the Prime Minister that a healthy economy and protecting the environment are not mutually exclusive," the group letter states. "We propose that as a nation we invest in the transition to clean energy and a diversified economy as rapidly as possible. Working together, business, the labour movement, the non-profit sector, religious organizations, and government can generate long-term sustainable jobs in the field of clean energy. Re-training for those who suffer immediate job loss in this transition should become a public policy priority." "We believe it is critical to add our voices to the many Canadians, young and old, who also desire a better country," the letter says. "While we respect those who differ, we call on our government to cancel the pipeline expansion. In its place we need to develop a comprehensive energy transition plan that is commensurate with the crisis of climate change." Great to see Indigenous initiative in the economy. Strong participation will allow them to lift their nations out of the morass of the Indian Act. ..lots of public posturing by politicos these days. cons blame libs, libs blame cons and notley alta blames them both. all trying to pretend they are in charge of the situation. The Liberals intend to announce the next steps before the end of September. The government wants to have the pipeline’s fate decided within the next six to eight months before the next federal election and also before Alberta’s provincial election in May. While some called for the protection of sacred and valued ecosystems, governance systems and cultures, others called for the protection of workers in Alberta and Canada's economy. Some demanded growth in the oil industry, while others demanded clean energy initiatives and the recognition of Indigenous sovereignty over unceded territories. A thick layer of confusion raised its lazy head, along with questions about how well Canadians and political leaders understand Indigenous rights as defined in Canada’s Constitution (not to mention within Indigenous legal orders) and how major industrial projects might proceed in the future. How did a government so adamant that this pipeline proposal was a matter of "national interest" that it bought the project outright, fail to meet its constitutional obligations? How did a government, publicly so eager to reconcile with Indigenous nations and fix the flaws of past governments, fail to succeed where its predecessor did not? National Observer spoke with an environmental assessment expert, three lawyers well-versed in the “duty to consult” and an Indigenous land defender to untangle the issues. Natural Resources Minister Amarjeet Sohi announced Friday in Halifax that the Trudeau government is asking the National Energy Board to redo its review of the Trans Mountain oil pipeline expansion project that was struck down by the courts this summer. The NEB will now have 22 weeks to "complete a thorough and prompt review" of the decision and deliver its new report. That timeframe would place the new deadline on Friday, Feb. 22, 2019. The minister announced the new review alongside Fisheries and Oceans Minister Jonathan Wilkinson on the sidelines of the G7 meetings that have been taking place this week in the east coast city. ..in this piece there is video of the press conference re: notley response to the feds plan on the neb (post #8). it pretty much lays out both governments' stategies going forward. the video actually begins about 1.5 min in. Here is good response to the pipeline announcement by Nathan Cullen and Murray Rankin. ..i liked that cullen and rankin included no as a possible outcome of consultations because here's ubcic's response. The Union of BC Indian Chiefs (UBCIC) is calling on Prime Minister Trudeau to accept the Trans Mountain pipeline expansion and tanker project’s defeat in the Federal Court of Appeal, and to cancel the recent directive to the National Energy Board (NEB) to re-perform its environmental assessment of the ill-conceived and ill-fated project. Prime Minister Justin Trudeau should immediately appoint a “special representative,” enact an emergency law and launch a Supreme Court appeal to push the Trans Mountain expansion pipeline through to construction, says the leader of the Opposition. Conservative Party Leader Andrew Scheer unveiled his proposed fix for the troubled project on Monday in Ottawa. He listed a series of actions he would take today if he were in Trudeau’s shoes. Scheer’s announcement comes on the heels of new marching orders issued by the Trudeau Liberals last Friday from the G7 meetings in Halifax, and the promise of more announcements to come. Natural Resources Minister Amarjeet Sohi said Sept. 21 that the government has given the National Energy Board (NEB) 22 weeks to reconsider its recommendations for Trans Mountain, and come up with a new report. He also said the government would appoint a "special marine technical advisor" to the NEB, among other steps. On Monday, Scheer rejected those steps as insufficient. The Opposition leader said Trudeau should instead “appoint a ministerial special representative” to complete the Indigenous consultation process quickly. He said this would demonstrate the government’s “good-faith effort” to seeing those consultations through. The government should also “enact emergency legislation,” he said, so that the NEB doesn’t need to “duplicate” the analysis of oil tanker traffic and the risks of environmental disaster — an analysis he said had been already undertaken by federal government bureaucrats. The court ruling found that the NEB made a “critical error” when it excluded oil tanker traffic in the scope of its project. The court said that sparked a chain reaction of “unacceptable deficiencies" that tainted the NEB’s final report. Scheer also said Trudeau should appeal that court ruling to the Supreme Court. Last Friday, the Tsleil-Waututh Nation in B.C. welcomed the federal government’s "recognition” that marine shipping should have been included in the NEB's assessment. But it also questioned the Trudeau government's new plan to move the project forward. In a press statement, the community said it anticipated that more review and two-way dialogue, as mandated by the court, "will take more than 22 weeks." It also said any plan for additional review "must be developed in collaboration with the Nation." “That is only one part that we are moving forward on today, and within a very short amount of time, we will be announcing the other aspects of the plan,” Sohi said in response to questions from National Observer about the Tsleil-Waututh’s assertion that 22 weeks is not enough. "Federal lawyers want closed-door hearings in a high profile court case about allegations of Canadian Security Intelligence Service (CSIS) spying on anti-pipeline activists. The civil liberties group behind a complaint about the purported CSIS wrongdoing opposes the federal secrecy request, saying it blatantly violates the principle that justice must be seen to be done. The matter is slated to be heard today in an open session of the Federal Court of Canada. The judge's decision will determine how much the public gets to see and hear in the coming months when the court looks at the central issue: whether Canada's spy agency overstepped the law in monitoring environmental activists..."
Facing a tight deadline handed down by the federal government, Canada's National Energy Board is giving members of the public and other affected stakeholders less than a week to register to participate in a new review of the controversial Trans Mountain pipeline expansion project. The federal regulator confirmed this news on Wednesday as it announced it was formally restarting public hearings in response to instructions delivered last week by Prime Minister Justin Trudeau's cabinet. The NEB has asked members of the public to comment on the new scope of their review as well as the hearing process, and apply to participate by Oct. 3, 2018 — a deadline that the chief of one affected First Nation described as "ludicrous." The government has specially asked the regulator, which has powers of a federal court, to reconsider the mistake it made when it failed to include impacts of tanker traffic as part of the original review. But the leaders of two First Nations affected by the project say it already appears the government is destined to repeat the same mistakes it made the first time. Chief Judy Wilson of the Neskonlith Indian Band which asserts land title over a stretch of more than 500 kilometres of the proposed 980 kilometre pipeline said the way the NEB is moving forward gives her reason to think this process will be "just as bad" as the last. "Oct. 3 is less than a week away. It's ludicrous, high-handed and unachievable," she told National Observer over the phone. "There has been no significant change in structure to their process. It looks to me like another ill-fated process. I don't think the NEB has really understood the issue of consent." Chief Lee Spahan of the Coldwater Indian Band sat through the last public hearing held by the NEB. Though press releases regarding the call-out for public comments and registration were sent to band offices, Spahan heard the news about the new timeline from National Observer over the phone. "I'm frustrated. I haven't heard from any federal representatives from Canada whatsoever," Spahan said. "We won a court case and still can't get them to the table. They're giving people less than a week to comment and register? Why would they give such a short timeline?" One of the three NEB members who oversaw the flawed review of the pipeline, Alison Scott, will return for the second time. Lyne Mercier, who was forced to recuse herself from the doomed 2016 review of the Energy East pipeline project following a private meeting with an industry representative, will preside over the hearings, with Murray Little named as the third member of the panel. The regulator is independent from the federal government and would normally assign these types of duties and roles without any interference from the federal government. NEB chief executive Peter Watson, who also recused himself from the Energy East review, said he had confidence the regulator would be able to get the job done properly this time. We have until October 3rd to demand a proper review for the TransMountain pipeline. Now that the Federal Court of Appeal quashed Trudeau’s approval of the TransMountain expansion, the assessment of the project must start again at square one. Let's make sure they get it right this time. Demand that the National Energy Board (NEB) re-do the review with full consideration for TransMountain’s impacts on the climate, marine environment, and First Nations consent. How did the " broken review" include ' climate change' when the Court of Appeal made no mention of it? No matter the obfuscations of 'activists', common sense will prevail and Canada will export its resources. The activists position is entirely non-sensical when compared to the need for most individuals to acquire sustenance- either gainfully or otherwise. Crapping on your own country rather than offering constructive solutions does not equate to nation building, rather it denotes a preening sense of entitlement. A sense of entitlement that disavows any responsibility for self- sufficiency. Thankfully, Canadians are not embracing leftist revisionism and are continuing to be self reliant achievers. A wonderfully precise proclamation of your fascist ideology. I gather from this statement that Ayn Rand is one of your favourite authors. A rather smelly non sequitur, non? If one is not a leftist, one must be a fascist. Ten thousand years of ten thousand 'reviews ' wont make a dent in 'activist' delusions because hindering Canadian pipelines is merely one gambit in the attempt to resurect the failed communist agenda. Stopping capitalism is the agenda, and the environment is just the handy excuse. you speak like there's something wrong with stopping a "capitalist " agenda. you speak like it would only be communists opposing a capitalist agenda. which is too funny given the only communist country in the world China is about the largest capitalist endeavour going on. The matter was argued Thursday in an open session of the Federal Court of Canada. The judge's decision, expected in a month or so, will determine how much the public gets to see and hear when the court looks at the central issue: whether Canada's spy agency overstepped the law in monitoring environmental activists. The decision could also set a precedent that dictates whether future court challenges of CSIS activities are held openly or in secret. The association's complaint to the Security Intelligence Review Committee also cited reports that CSIS shared information with the National Energy Board about so-called "radicalized environmentalist" groups seeking to participate in the board's hearings on Enbridge's now-defunct Northern Gateway pipeline project. already posted @ #14 - an important story that bears repeating. ..i did see that ndpp when you posted it but forgot. yes worth repeating. they very same people are spying on indigenous folk that stand up for their rights as well. calling them threats to canada. The problem with stopping the capitalist agenda is that the stopping is akin to shovelling sand against the tide. Self interest gets in the way of saving the world. Activists are deluded in thinking a capitalist- free world will be a better place. More likely, the activists will become Dobbin of Animal Farm while the capitalist sociopaths morph into communist sociopaths. Whatever the ideological change, the sociopaths will rule because, well, they are sociopaths. You speak like you don't comprehend the failure of communism or perhaps are still wearing your bias protection chapeau. I must be full of something because I keep mentioning energy demand is a function of population growth that will not change even if every Canadian commits to 0 energy use and starves themselves to death while the faithful here rabbit on about the Concern of the Moment, the Southern Resident Killer Whale Pod. It is fitting that the activists focus on as yet, non-existent oil tankers from TM expansion while totally ignoring the many more gigantic cruise ships travelling the same area or even the large number of American oil tankers in these same waters. It speaks to the not-so-funny denial of reality and hypocracy of the activists. I am interested in solutions to concerns, not smug morally superior hypocracy in support of a nonsensical agenda. I want to see Canada succeed in its objectives, not be torn apart by foreign funded traitors and their useful idiots. You do understand that this is a progressive discussion forum, right? As in left of centre (sometimes really left of centre)? You can take your views to some other right wing forum or I can ban you. Your choice. Ah, Submission or Banishment. Either conform and stop annoying the faithful with contrary opinion or face censorship, shunning, banishment. I have learned a lot here over the years but it always boils down to the usual clique of dogmatic, tired thinkers organizing a lynch mob for your humble servant. I do not dispute the tenets of choice, lbgqt, anti-racism or any other progressive baselines but I do dispute the logic of destroying one's own country for some the sake of some ephemeral ideological global goal. In your mind, that makes me a disruptor, a troll, an anti-left heretic. Opinions are like assholes, everyone has one but its a shame the denziens here dont have the courage to accept that an open debate is preferable to propping up confirmation bias and deluded thinking. Au revoir, Meg B. You have your marching orders and will simply await your opportunity. If you wonder why 'the left' never gains any traction, look no further than the cowards who pull your leash. Illigitimus non carborundum. A picayune point, but you ultimatum offers no choice at all. Freudian slip or is this the result of leftist thinking? A false dichotomy masquerading as redemption before the hanging? Don't ban Martin N. His views are no further right than many others here and if people disagree they can say so. "When big oil companies want to monitor activists, they turn to Welund. Privacy advocates are growing increasingly alarmed about the Canadian government's use of intelligence firms..."
Thanks to people like you, in just 4 days, the National Energy Board received over 3500 faxes demanding that the new review of the TransMountain pipeline consider climate change, marine protection, and Indigenous consent. Together, we’ve overwhelmed the NEB’s fax machine in Calgary to the point that they can’t keep up with the sheer volume of submissions. With stacks upon stacks of comments piling up, it’s impossible for them to ignore our message -- and we have until tomorrow to keep the pressure up. Will you take a minute to click and fax the NEB telling them to fix the broken pipeline review process? "Three people arrested in August for blocking construction of the TransMountain pipeline and tanker project were sentenced to jail today in BC Supreme Court. Over a dozen protectors are expected to be handed jail sentences this month, despite a recent Federal Court of Appeal ruling that quashed approval for the project and brought construction to a halt. 'There are so many reasons that this expansion should not be built. For me, the most blatant and indisputable reason is the horrendous violation of Indigenous rights,' said Avery Shannon 20. 'The TransMountain Expansion is yet another example of appalling abuse: explicitly infringing on the UN Declaration on the rights of Indigenous Peoples." "...The burden of proof is always on the Crown from the outset to prove the land has been 'ceded to, or purchased by Us', in the absence of which proof, the land irrebutably is presumed still to be 'reserved for them or any of them,' without regard to which Nation or Tribe comes forward to claim standing to sue and, in result, the land constitutionally can not be granted and occupied failing discharge of that burden of proof. That is, the Crown cannot evade the reserved status of the land as if there had been a cession or purchase, if it cannot prove the cession or purchase..."
"Our Prairies-NWT organizer was in Fort McMurray today to tell a joint federal-provincial review panel to #RejectTeck the largest single tar sands mine ever proposed. Read more here..."
At a separate news conference on Wednesday, Natural Resources Minister Amarjeet Sohi said Frank Iacobucci has been appointed as a "federal representative" to help design and then oversee new consultations with 117 Indigenous groups that will comply with the court's judgment. By avoiding an appeal, the government reduces the risk of being forced to release internal emails in court that demonstrate how public servants were instructed in 2016 to find a way to approve the pipeline, before concluding consultations with the First Nations who were directly affected by the west coast project. The minister announced last month in Halifax that the National Energy Board (NEB) would reconsider its recommendations for Trans Mountain and carry out a new review in 22 weeks. But he said Wednesday that new Indigenous consultations won't follow the same timeline. "We will not put a stop clock on consultations," said Sohi. "We need to make sure we are consulting and engaging with Indigenous communities with an open mind and in good faith." Frank Iacobucci, CC QC (born June 29, 1937) was a Puisne Justice on the Supreme Court of Canada from 1991 to 2004 when he retired from the bench. He is an expert in business and tax law. "The lead federal negotiator of the [Res Schools T&R Commission] settlement contract was Frank Iacobucci of the Tory Law Firm that specializes in serving blue chip corporate clients whose business interest diametrically is opposed to the truth concerning the genocidally unconstitutional invasion of the Indian territories for commercial purposes. Iacobucci 'was appointed Deputy Minister of Justice and Deputy AG of Canada. In September 1988 he was appointed Thief Justice of the Federal Court of Canada. He was appointed a Judge of the Supreme Court of Canada on January 7, 1991.' He joined the Tory Firm in 2004 after he had retired from the Supreme Court. In all of these capacities he committed and is committing genocide willfully by blindsiding and suppressing constitutional and international law..."
Due to the proximity of Seattle, Wash. to the Vancouver region — where Trans Mountain terminates — an analysis of tanker movements in the whale’s habitat must include both Canadian and American traffic. Essentially all tankers must transit the Strait of Juan de Fuca bordered to the north by Vancouver Island and to the south by Washington State. Every year, some 1,300 oil tankers, tug-pulled petroleum barges and industrial chemical carriers travel through the Strait of Juan de Fuca before entering the inland waters of the Salish Sea. The Canadian traffic turns north towards Vancouver and the American traffic goes south towards Seattle. But that’s just tanker traffic. Orcas may be remarkably intelligent, but they can’t detect the difference between tankers and other large ships. Each year, some 10,000 large commercial cargo ships travel those same waters, too. And even that isn’t the whole story. During the May to September tourist season, hundreds of huge cruise ships visit Vancouver. Adding to that are the thousands of BC Ferry vessels that travel the Salish Sea, plus tens of thousands of recreational boats. Meanwhile, the Trans Mountain project would add one ship per day. You read that right: One. Ship. A. Day. Advertisements must not contain, or directly or by implication make, inaccurate, deceptive or otherwise misleading claims, statements, illustrations or representations. Susan (who requested The Narwhal not use her full name for privacy reasons) submitted an advertising standards complaint, thinking the Alberta Government would be held to account for what she believed were false statements. As stated in #39, the Southern Resident Orcas have been and are threatened with extinction. This issue is finally gaining some attention due to the threat of an additional ship (1) per day. Thanks to the disproportionate reaction of the usual suspects, the issue is being addressed. $167 million over 5 years from the feds and a greater awareness that much more needs to be done to ensure the population's survival. It is an everlasting shame that the Orcas' survival is dependent on its usefulness in combatting pipelines rather than empathy for the species itself. Speed limiting all shipping among other noise controls and addressing declining chinook populations are immediate resolutions, not complaining about an additional ship per day. Thanks for the help regardless though. People along the coast have been fighting but it is very difficult to shut down an existing oil refinery or a port or even the fish farms. I can assure you the opposition against the pipeline is based on protecting both the local and global environment. Not fighting the pipeline would not protect the orcas. It seems the reaction was not disproportionate because as you say it has resulted in an ocean protection plan. It was a calm and peaceful night off the coast of northern British Columbia when disaster struck two years ago. The second mate of the U.S-owned tugboat Nathan E. Stewart was alone on the bridge and fell asleep. Moments later, the tug and associated barge ran aground in the Gale Pass of traditional Heiltsuk territory, spilling 110,000 litres of diesel fuel, lubricants, heavy oils and pollutants into the water, contaminating an important Heiltsuk food harvesting, village and cultural site. After two years of dealing with the disaster, establishing solutions, conducting their own research, investigative report and assessment of the event, the nation is taking the matter to the B.C. Supreme Court, filing a claim against the federal and provincial governments, as well as the Kirby Corporation, which operated the ship. "Loss of employment, culture and trust"
The lawsuit alleges that government agencies and the operator were too slow to respond to the emergency, failing to address the impacts on the health and safety of the Heiltsuk people and their way of life. "This case is about loss," said elected chief councilor Marilyn Slett at a press conference Wednesday morning in Vancouver to announce details of their case. "Loss of employment, loss of culture, and loss of trust. With this legal action, we are seeking compensation for cultural and financial losses associated with harvesting and cultural disruptions and the cost of environmental testing." Chief Slett said the civil claim is asking the court to clarify four issues — Canada and B.C. 's duty to consult communities affected by spills, the Aboriginal title rights on the seabed and foreshore, the limitations of federal legislation regarding marine liability and a federal fund used to pay for the cost of clean ups of pollution from ships, and whether it's possible to place a monetary value on cultural loss. "This has never been decided by Canadian courts," Slett said. "While land claims have been considered by many cases in Canada, few directly consider the existence or scope of Aboriginal water rights." While Canada claims to own the seabed and the province claims ownership of the foreshore, Slett said their nation occupied the ocean and foreshore long before contact and have never ceded, surrendered or sold their title. Answering this question in court will help determine what legal rights Heiltsuk have to the seabed and foreshore, which they hope will clarify their rights to consultation and management. The Crown’s case against the MV Marathassa, the bulk carrier that spilled oil in English Bay three years ago, continues to fall apart. In the latest setback, Provincial Court Justice Kathryn Denhoff found that accidentally dumping bunker oil in the sea is not a crime under Canada’s environmental protection law. As the federal government looks for ways to push its Trans Mountain oil pipeline expansion through to the West Coast, it is assuring British Columbians it is building a “world class” regime to respond to oil spills. In the spring of 2017, Greece-based Alassia NewShips Management Inc., the owner of the MV Marathassa, was charged with 10 pollution-related offences. One by one, the defendant has batted the charges off. Only four are still before the court. The federal government is appealing the decision. But Eugene Kung, a staff lawyer with West Coast Environmental Law, said the diminishing case against the Marathassa is concerning. “This highlights the fact that stronger laws are needed to ensure that the polluter-pay principle is enshrined in our laws, and that there is an enforceable mechanism, with teeth,” he said in an interview. A spokesman for the federal environment minister declined comment on the grounds the case is unresolved. The problem with that concept is that international agreements limit national authority to do so. The National Energy Board released the decision Friday as it laid out the schedule for reconsidering its approval of the project by the Feb. 22 federal government deadline. Dr. Robert Steedman, chief environment officer of the NEB, said the decision to limit the area of the assessment to 12 nautical miles, known as the territorial sea limit, was based on the comments received from interested parties. The precise reasons for the decision won't be made public by the board until next week. However, one of the environment groups that sued Ottawa over its original environmental review of the project, says the distance does not cut it. "From the get go it looks like a political exercise, not an environmental one," said Misty MacDuffee, a conservation biologist at the Raincoast Conservation Foundation in British Columbia. Raincoast was one of the groups behind the successful lawsuit challenging federal approval of the expanded pipeline. 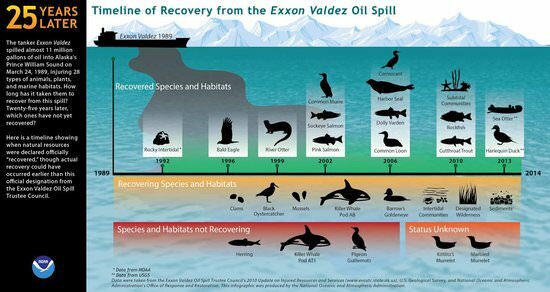 It argued, and the court agreed, that cabinet and the National Energy Board erred in not considering the negative impacts of additional oil tankers on marine life, particularly on the highly endangered southern resident killer whales. The NEB had looked at some of those things in its 2015 review and even said it expected the increased tanker traffic would have a negative impact on the orcas. However, it also decided that marine shipping was outside its purview so it didn't take that into account in deciding to give the project the green light. After the Federal Court of Appeal struck down the approval in late August, Natural Resources Minister Amarjeet Sohi ordered the NEB to go back and do a new review of the marine tankers. Raincoast had wanted the new review to cover the area known as the exclusive economic zone, which extends 200 nautical miles from shore. MacDuffee said the 12-mile distance could leave out a number of endangered or at-risk whales, such as blue whales, finn whales and sei whales. "...He has served as Chief Negotiator on Aboriginal negotiations for LNG pipelines for TransCanada Pipelines, as Chief Negotiator for BC Hydro, as Chief Federal Treaty Negotiator for the Government of Canada and served as Deputy Minister in several portfolios in the Government of British Columbia." No conflict of interest. That is the interest. Just watch how Denhoff's judgement gets used in the TransMountain/NEB matter, and by whom...In Canada, 'due process' is almost always a fixed game in favour of the 'fixers'. And as often the losers will find the sabotage was an inside job. A word to the wise by someone who knows. "In the Corporate Mapping Project news release published this morning, [Prof. Bill] Carroll summarized the study's findings as showing 'substantial ownership and strategic control of Canada's fossil fuel industries are in the hands of a few major players, including all the Canadian big banks and several US investment funds, governments and some wealthy families.' Many of these investors, the study also shows, are located outside Canada..."
An important environmental resource well worth checking out. Four decades ago, the Mackenzie Valley pipeline inquiry showed what real consultation looks like. Berger did come back to consult Old Crow. I was lucky enough to witness the hearing there. Here is what I wrote at the time. “I am Judge Berger. I am here to listen,” he said at the beginning of the hearing. And listen he does, with dogged patience. He looks at each witness and doesn’t interrupt. He is in his shirtsleeves now, his corduroy jacket on the back of the chair. An unused ashtray is there to gavel the meeting to start. “I find that I am learning a great deal from all that you have told me.” When the attention begins to wane he will take a break, but until then he is alert for each witness. There is respect, on both sides. After almost a week in town Judge Berger thanks the interpreters and the people for the friendship they extended to him, his staff and to the members of the CBC and press and the participants in the Inquiry. “These people from the CBC and the Press come along with me to enable you to tell the people of the north and the people of Canada what you think.” He explains that he’s going on tomorrow to visit the whalers from Aklavik out on the Mackenzie Delta and then he’s going back to Yellowknife and later to Fort Liard in the southern Mackenzie to hold another community hearing. “I have to hear what all the people in the Mackenzie Valley and the Mackenzie Delta and the northern Yukon think of the pipeline, then I have to send a report and recommendations into the government, and when I am considering what I will recommend to the government, I will be thinking about what all of you have said to me over these three days about the land and about your way of life.” His comments are interpreted and then there is applause. He heard from 81 people in this village of 250. And he would visit another 30 settlements to hear people in five other languages. On adjournment the Inquiry Staff and the Judge would play baseball with the locals under the midnight sun.